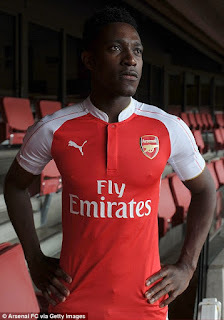 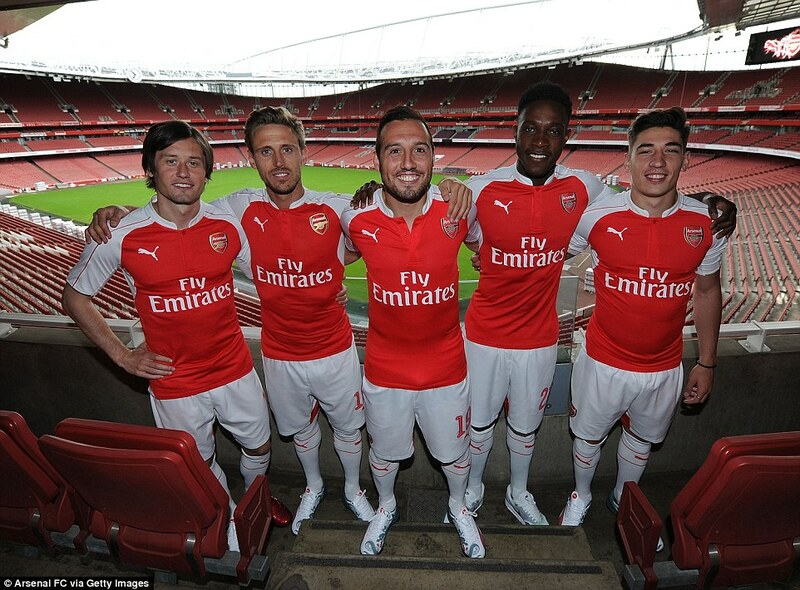 Arsenal have launched their Puma home kit for the 2015-16 season, with some special help from Thierry Henry and current stars at the Emirates Stadium. 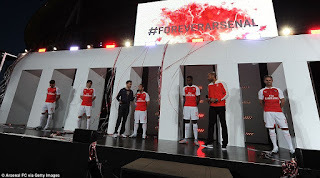 The red and white strip was unveiled at a packed event outside the home ground on Monday night, and is Puma's second with the Gunners after starting a £30million-a-year kit deal last year. 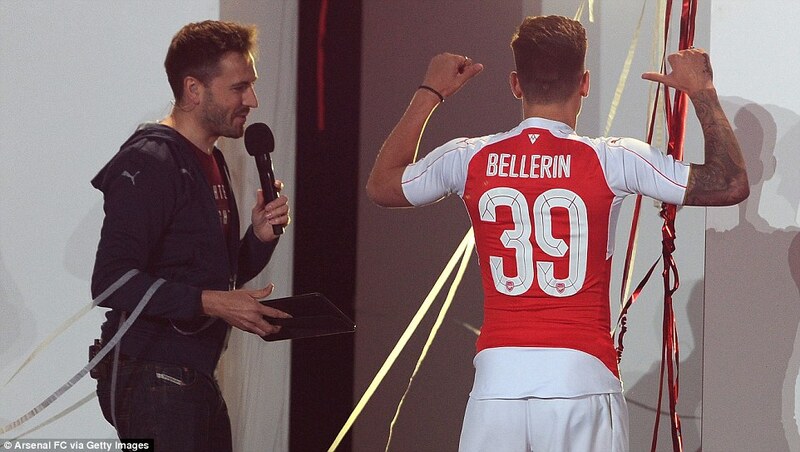 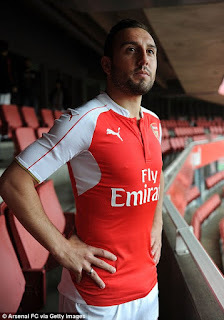 Santi Cazorla, Nacho Monreal, Hector Bellerin, Tomas Rosicky and Danny Welbeck joined Henry to help reveal the new kit, which Arsene Wenger will hope his side are successful in next season as they aim for more major honours. The atmosphere outside the Emirates Stadium was similar to that of a match day, such was amount of fans and their desire to get a glimpse of their heroes. 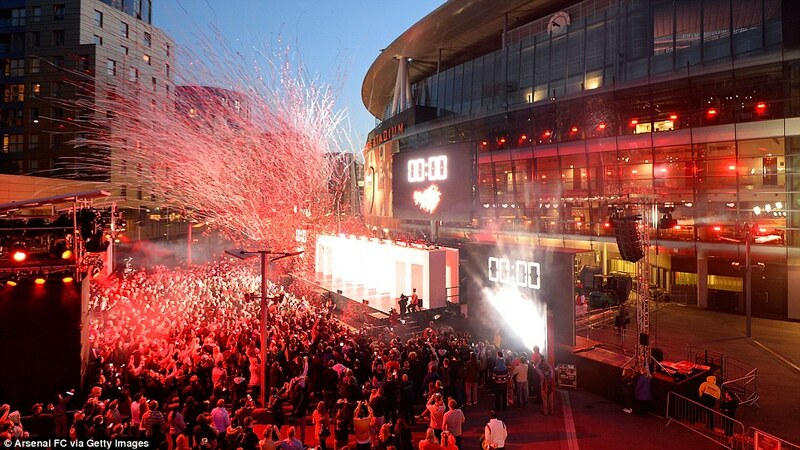 Supporters belted out Arsenal chants as the countdown started on the stage before fireworks and confetti greeted the five stars.